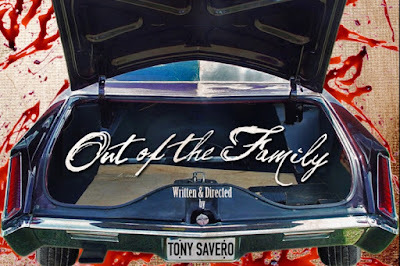 Currently looking for funding is 'OUT OF THE FAMILY' a psychological thriller about the very different experiences two men have while on their way to the same mysterious destination. One, enjoying the ride from the Driver's seat as the other fears for his life from the trunk. As writer/director Tony Savero puts it "This is my take on the classic Mobster genre that I grew up on, living in an Italian household. Only this time, we see the victim's point of view."